The United States spends about $600B a year on the Defense Department. With such a large sum of money, it’s not surprising that $22M could be regularly unaccounted for. Which is exactly what the Pentagon wanted. That money was redirected to the Advanced Aerospace Threat Identification Program and was almost impossible to find. Why would that be? Is the government doing something that they shouldn’t be doing? According to Defense Department officials, that particular arm of the government has spent years investigating reports of UFOs and has been run by Luis Elizondo. The organization has never before acknowledged the existence of the program, which they say was shut down in 2012. Many disagree, saying that the funding from the Department of Defense hasn’t stopped and the program remains operational and continues to monitor the movement of UFOs. The program was created in 2007 thanks in part to Harry Reid, who was the Senate Majority Leader at the time. He requested the funding for it and most of it went to a research company run by Robert Bigelow, a friend of Reid, who is working with NASA. In May, 60 Minutes conducted an interview with Mr. Bigelow who says that he is “absolutely convinced” that alien life exists. This program has produced documents of space craft that appears to move with no visible means of propulsion and hovers with no apparent means of lift. You can watch one video below which appears to show a UFO moving at extremely high speeds against the wind. Reid stated that he was very proud of the program that he had helped conceive when he retired from Congress. It should be noted that the list of “good things” Reid has done is agonizingly short, so it wouldn’t be difficult to find this. Do you think this is something that is worth spending taxpayer money on? I’m staunchly against unnecessary government spending because hey, I worked for that money. That being said, there are plenty of things that need to be investigated. 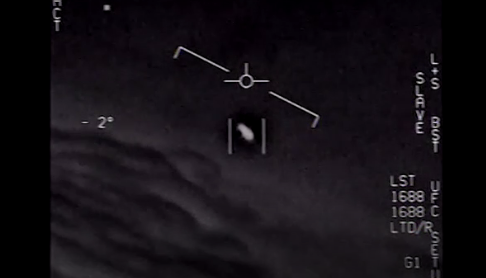 Just because a flying object is unidentified doesn’t mean it’s an alien from space. It could very well be a new kind of technology created by an enemy country that they’re using to spy on us and we need to know who made it and where it came from. Let us know what you think of this down below!